Yes. You need to write a new cover letter for every job you apply for. Hopefully, you can use the previous one and change some of the information to fit the next application. A job application with no cover letter is a waste of an opportunity. 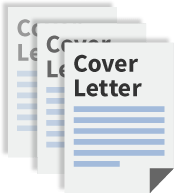 A cover letter shows an employer that you are serious about the job. It shows that you are prepared to make an effort. It shows that you are the sort of person who does things properly. A CV with no cover letter is not very impressive. Short. About half a page. You don’t need to write your life story. Keep it relevant. It should say that you are the right person for the job. It should say that you have relevant experience, skills and qualities that make you perfect for this position. I am keen to be involved in a good company like [Put the company name]. I would like to apply for your position of [Put the job title the same as it is in the advertisement] as advertised in [Say the name of the website or place where you saw the advertisement] because I believe I would be a perfect fit for your business. You will see from the attached CV that I’m hard working and have good people skills. Because of my previous experience and my positive attitude, I am confident that I can bring benefit to your organisation. I was trusted to handle the money and close the building at the end of each day. Thank you for considering my application. I hope I will be given the opportunity to have an interview. There it is. A cover letter. Use one with every job application. It might seem like a lot of work, but it is easy really once you have done your first one. And remember, they will reduce the number of job applications you have to make!